TOKYO, JAPAN, November 7, 2017 --- NTT DOCOMO, INC. announced today that it succeeded in 12-channel MMT (MPEG Media Transport) transmissions of 8K video using fifth-generation (5G) mobile technology during a test conducted on November 1 at its Yokosuka R&D center in collaboration with Sharp Corporation. Transmission of compressed 8K video, the next generation of ultra-high definition video, requires a data rate of 80 Mbps on average per channel. 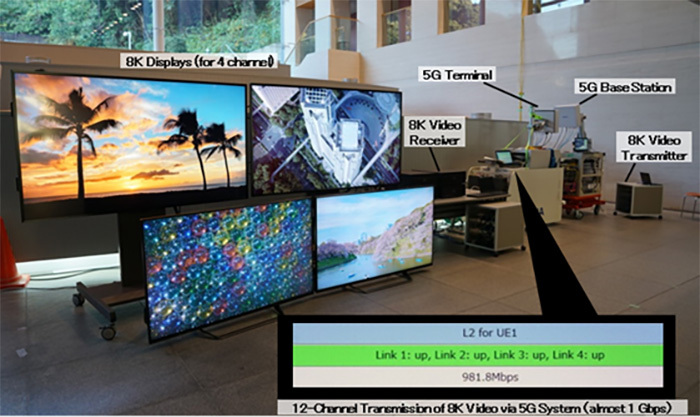 In the case of current LTE mobile technology, it is difficult to achieve such a data rate for the stable, multiple-channel transmission of 8K video. 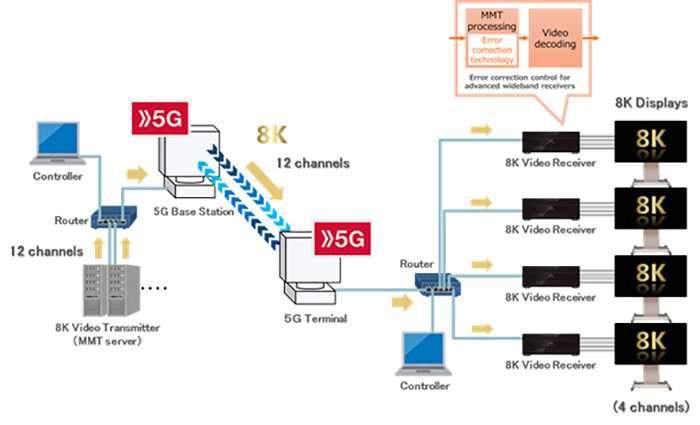 In the recent test, however, ultra-high speed, large-capacity 5G communications using MMT technology successfully transmitted stable multi-channel 8K video with a high bit rate to multiple devices. Radio waves for wireless communications are constantly influenced by obstacles such as buildings, trees and terrain, and well as reflective objects, so reception errors are inevitable. In the recent test, however, an 8K video receiver with error detection/correction function was used in additional to error correction performed in the wireless layer of the 5G wireless transmission equipment, enabling the 8K video to be displayed with minimal disturbance. DOCOMO provided the 5G wireless system and video content while Sharp provided the ultra-high definition video transmission/display environment using 8K decoders and 8K displays. 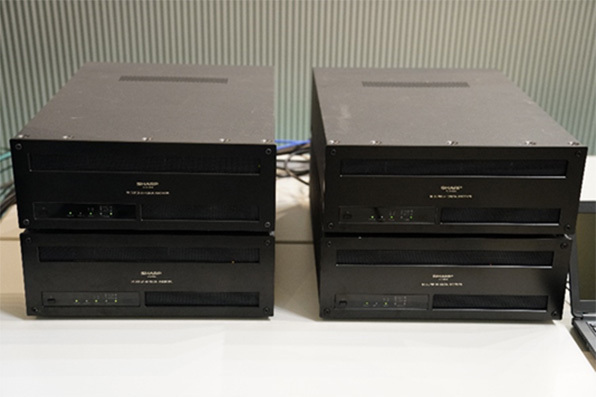 Also, the Japan Broadcasters Association supported 8K video encoding and MMT encoding. 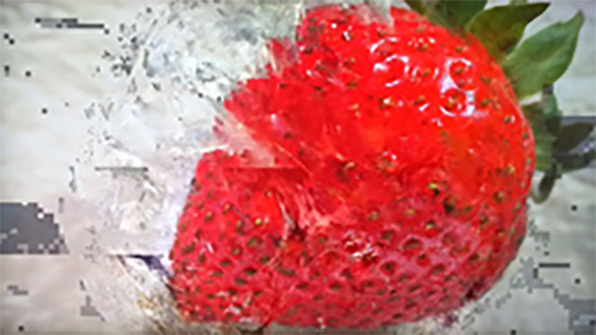 The successful results of the test will be exhibited during an event, Mietekita Chotto Saki no Mirai (A Peek into the Near Future), which will be held at the National Museum of Emerging Science and Innovation (Miraikan) from November 9 to11. Going forward, DOCOMO plans to further test 8K video transmission via its 5G system, targeting commercial services for sports, surveillance, etc. 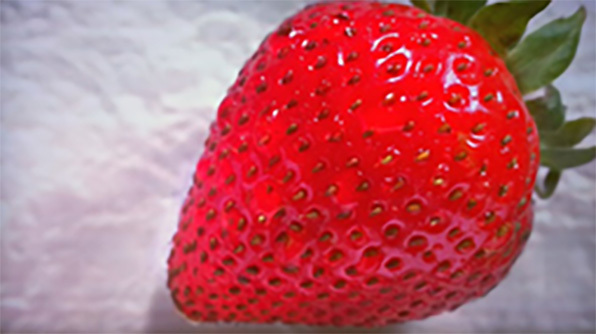 that would deliver high-definition video with MMT-enabled synchronization to diverse devices and displays.